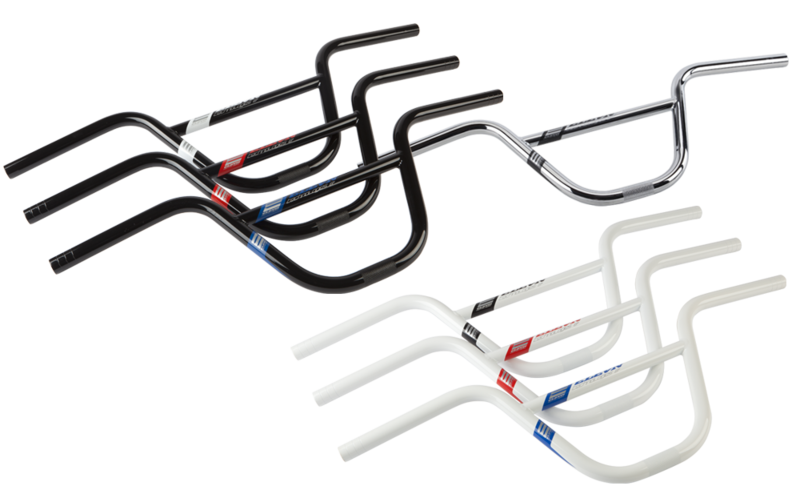 A full range of handlebars, in both Alloy and Chromoly, with different bends and sweeps, all to give you the ultimate control and feel of your BMX racer. 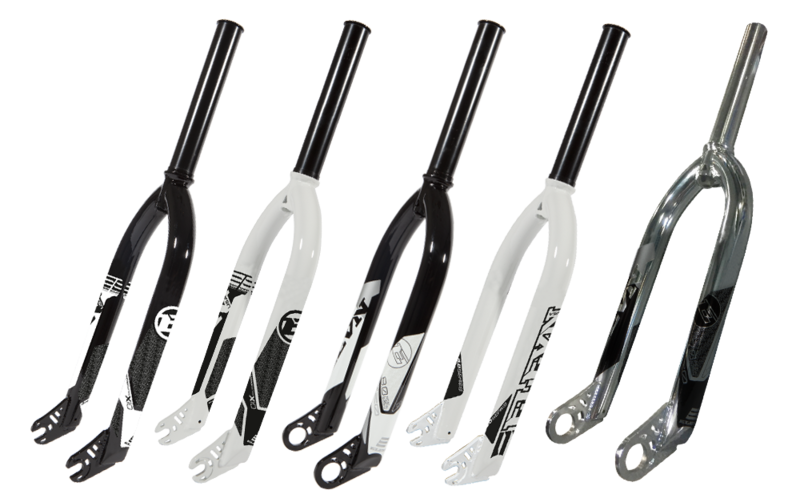 A full range of 4130 chromoly forks perfect for the high demands of a Supercross track in 10mm or 20mm axles and new oversized forks. Disc brake adaptors designed for the Chase ACT 1.0 and Chase RSP 4.0 frames and Disc brakes rotors fit the specs needed to be able to safely add on a Disc brake option. Fully CNC’d, Sealed Cartridge bearings, Euro or Press fit 24, these BB is the top of the line for BMX Bottom Brackets. Designed with detail to attention in mind, the Elevn stems features an ultra light overall weight and now offered in 2 different clamp areas for a stiffer & lighter front end. 4 different styles available: External, Semi-Integrated & Integrated and Tapered Integrated for ultralight weight headsets. Pro embossed or Expert polycarbonate, that work with any Pivotal Seat Post, making your seat look clean and installation a synch! Monocoque carbon or ultralight weight 6061 Alloy, 2 different styles available: Classic or Aero pivotal. Straight forward, simpleand clean are the design elements that make Pivotal seat posts a true thing of beauty. The Elevn Aero Quick Release Seat Post clamp is made exclusively for the Chase RSP 3.0 and Element Frames with Aero Seat Tube. Beautiful Elevn Alloy Chainring bolts help bedazzle the look of your race bike. A line of Titanium bolts for many items on a racers bike, around half the weight of the stock bolts. 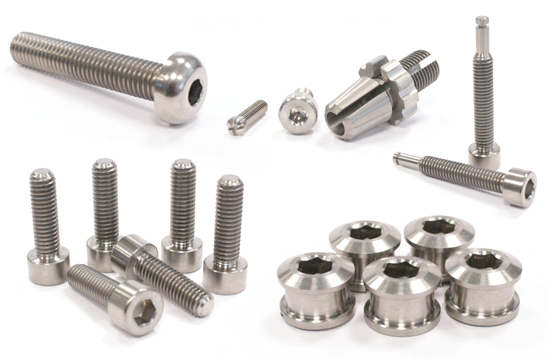 The bolts are straight replacements for Elevn parts as well as other brands, such as Shimano, ODI, and other brands.